The “armor of God” can look like a simple cloth robe. 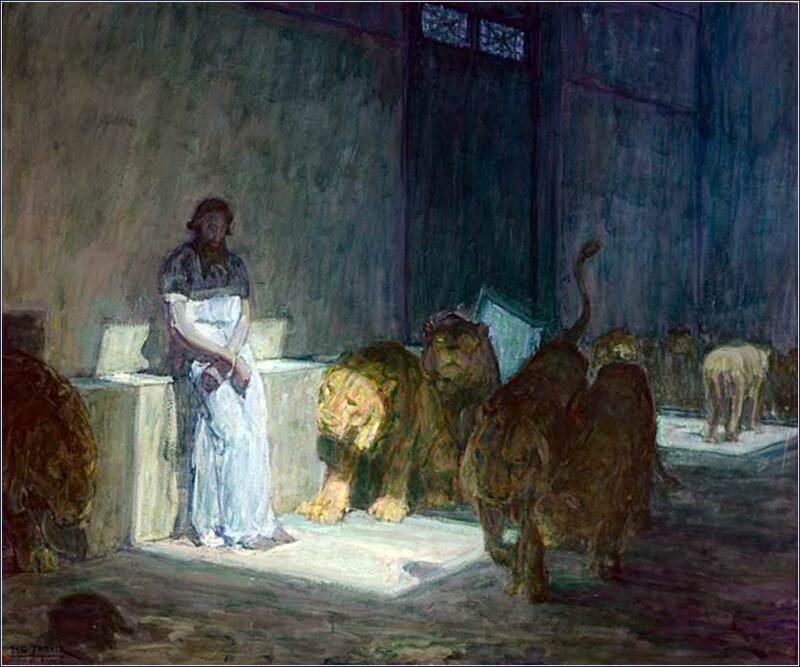 Daniel in the Lions’ Den by Henry Oswego Tanner, ca. 1907. 310 people in our community are currently praying with you. Take heart my friend, we'll go together. This uncertain road that lies ahead. In God's love, in God's grace. He who watches over us, never sleeps. Oh holy Christ, who has commanded us to love others as ourselves, it is a challenge to follow this commandment; many times every day I judge another, or grow angry, or look down upon someone. Or, I am simply selfish. I try to brag subtly, so that others will glorify me without me seeming conceited. I buy shiny new things I do not need just so that other people will be impressed. Sometimes, I pretend to love others, when inside I know my words are a lie. My prayer is that you will help me to burn your love on my heart, so that I may know the peace of loving my fellow man. Let me be sincere in choosing good over evil. Let me seek my glory in you, Lord Christ, instead of in my own image, my own fame or status; for status is no more than vanity, that will disappear in the blink of an eye. Soften my heart so that I feel true sympathy, and so I value others just as I do myself. Note: If you have been following our study of Exodus and did not see last Saturday’s devotion, you might want to go back and read the final installment, The Greatest Prophet. 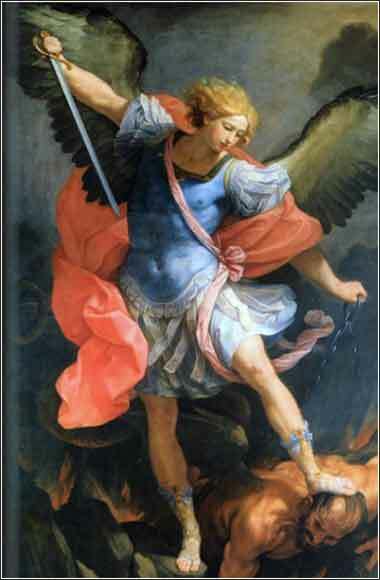 St. Michael Archangel by Guido Reni (ca. 1635). The final triumph of light over darkness. Michael, the embodiment of the Church militant, defeats a grotesque Satan in a scene based on the Book of Revelation. Proverbs 3:5-6: Trust in the Lord with all your heart and lean not on your own understanding; in all your ways acknowledge him, and he will make your paths straight.